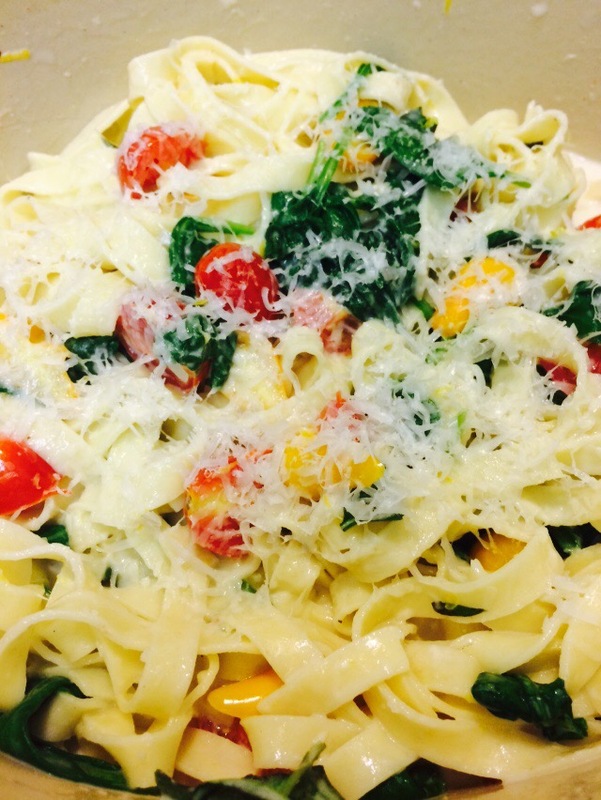 Creamy Mascarpone and Spinach Linguine, #CookingLightDiet Style! Quick and easy Friday night dinner. Usually we have pizza night but I wimped out last night and ordered pizza. So tonight had to be easy- I told the fam their salad was in the pasta ! Fresh, lemony, basil-y, and yummy.